The quartet PACE plays original music in which their four strong musical voices meet and create imaginative and highly personal music and where beauty and wild improvisation are in symbiosis with strong melodies and a solid group sound. They released their first album, “Searchlight”, in 2013 and are right now in the making of a second album. 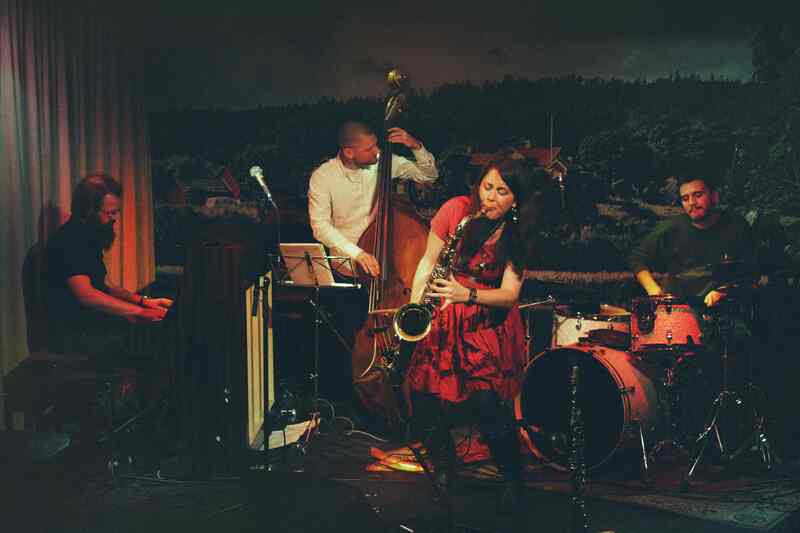 All four are some of Sweden’s most renowned younger jazz musicians. Elin Larsson has rightfully been called “a phenomenon” by Swedish press. Her expressive and dynamic playing makes her one of the most interesting and personal Swedish jazz musicians in recent years. She has released three albums with her own Elin Larsson Group and have won numerous Swedish jazz awards. She is also a member of the highly prolific group Anna Högberg Attack, which lately has drawn a lot of attention to itself, and was also a member of saxophone giant Mats Gustafsson’s Fire! Orchestra for a few years. Pär-Ola Landin is a bass player that is in constant demand. He’s a regular in several groups, among them guitar phantom Mattias Windemo’s trio, trumpet player Nils Janson’s band and saxophonist Linus Lindblom’s quartet. He is as versatile as he is personal and is in greatly appreciated for his sensitive yet groovy playing. In PACE he is also featured as a composer, and his songs are every bit as special as his playing. Often deceptively simple but quirky, sometimes short and always very well balanced songs. Christopher Cantillo has made himself a place as a new generation Swedish drummer and plays with groups like Nils Berg’s Cinemascope, Partiochminut and Mathias Ståhl’s trio. He embraces both the free aproach to jazz music as well as the more traditional way of jazz drumming and manages to stay in both worlds at the same time. His musical sensitiveness, imagination and personal sound makes him the perfect match for Landin’s bass playing.